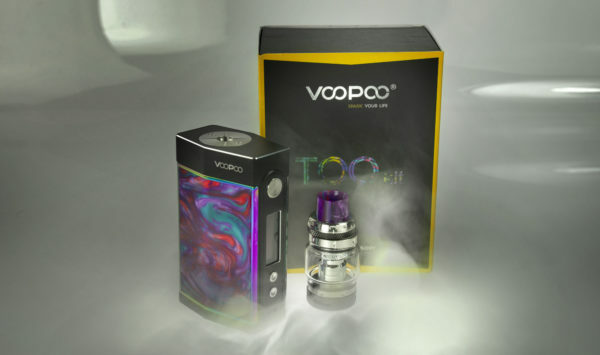 The Voopoo Too Resin 180W TC Starter Kit is the latest in vape systems, powered by the GENE-Chip! 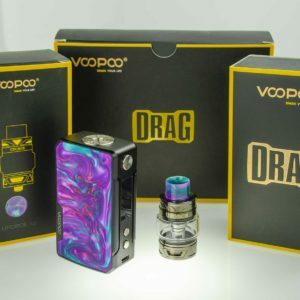 The VooPoo TOO is 180W Box Mod and versatile Uforce T1 Sub-Ohm Tank with killer designs and more high-performance capability. 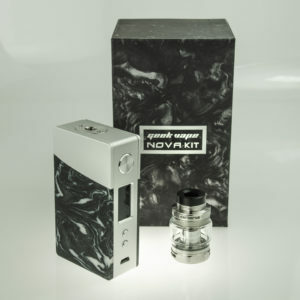 This new Box Mod presents a versatile build design and chipset that allows users to easily switch between a single 18650 battery to a more long-lasting dual 18650 battery chassis. The VOOPOO TOO 180W is highly intelligent and built to accommodate two styles of power sources while using the same proprietary GENE Chipset. 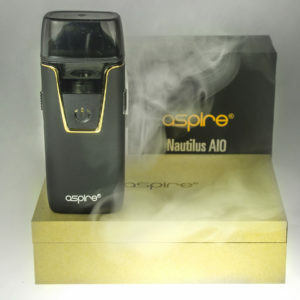 It is equipped with 180W of maximum power in dual 18650 mode and comprehensive temperature control suite with SOFT Mode for high-power settings. The Voopoo Too Uforce T1 Sub-Ohm Tank is the updated rendition of the original UFORCE. This new, complete kit, features a futuristic Steam Punk design to the structure while introducing new types of mesh materials for the UFORCE OCC Coil System. The UFORCE T1 integrates a mechanical knurl design to the bottom and top base of the tank, providing a visually stunning design while providing top-level ergonomics.